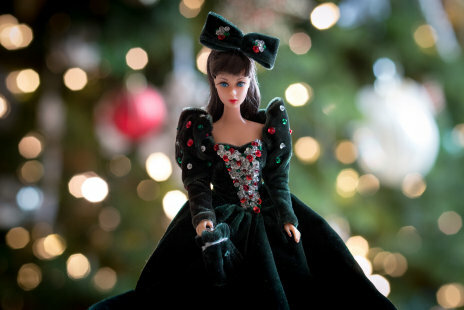 Barbie started with me back in 1964 when I got my very first Barbie Doll. Well it wasn't actually Barbie, but her cute little sister Skipper. Then I acquired a Bubblecut Barbie and Midge, followed by Skooter, Ricky, Ken, and Francie. In 1967, I was one of the lucky girls who participated in Mattel’s promotion. I traded in one of my old dolls along with $1.50, and received a brand new mod chocolate bon bon Twist 'n Turn Barbie. Barbie was my very favorite pastime as a child. I can still recall being embarrassed, because I seemed to play Barbie’s longer than my friends. I also remember standing in the toy department (more than once) dreaming about Barbie’s amazing outfits. The one that especially stood out was “Solo in the Spotlight”. Once I started collecting, it was one of the first outfits I purchased. I love all the tech stuff out there today. So it only seemed logical for me to build a website. I wanted the site to be a wealth of information on every doll from the vintage era, as well as a valuable reference tool. And as an added bonus, I had another place to share my entire Barbie collection! As time went on, the site grew to include much more than just dolls from the vintage era. Let me know if there is anything you would like to see added to this site, or just a comment or story you want to share. Keep checking back, as I'm always adding more information. And if you enjoy this site, please help get the word out and share it with your friends! Thank you so much for stopping by, and happy collecting! The box behind me is my "Barbie Fashion Shop" and laying by my feet is my "Barbie Keys to Fame" game!! Here are some of my Barbie and Ken sized dolls in one of my display cases. This case measures 5 feet 4 inches tall by 7 1/2 feet wide. My Skipper sized dolls, Gift sets, Rare items, Furniture & Cars go in other cabinets!